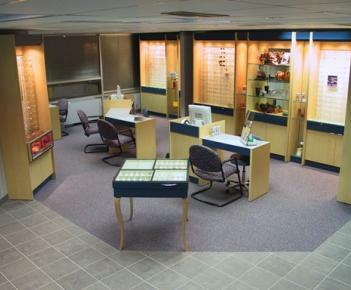 We are pleased to welcome you to our optometry office. If you’re looking for quality eye care with a personal touch, we hope you’ll give us a call. We look forward to the opportunity of serving your family’s optometric needs. We are conveniently located in North Olmsted and would be delighted to have you as a patient. The eyes are the motion picture camera of your life. Just like a camera lens, light is constantly transmitted through the cornea, anterior chamber, pupil, lens and vitreous humour. The image that appears through the light bundled in the retina is instantly transferred to the brain via the optic nerve. What they do is amazing; so it’s natural for you to want to take care of and protect your eyes. On the following pages, we are happy to offer you valuable tips and information on how to stay healthy and relaxed and keep things in perspective all day long. In addition we hope you’ll find our web page a useful resource to better understand our office, the services and materials we provide, as well as, useful information regarding eye problems. Check out this fun video from our favorite scientist, Bill Nye the Science Guy! He explains how the eye works and anyone can “see” what he’s saying (pun intended).